This recipe is an excellent balance of protein and fat and has a moderate amount of carbohydrates. Add a small side of carbs such as brown rice, whole grain crackers, or fruit to keep it balanced and stabilize your blood sugar. Sometimes I add 1 tbsp of dried cranberries or raisins in the wraps to balance out the carbohydrates while adding some texture and flavor. *Note: If you don’t like beets or can’t find them at your grocery store, simply swap them for an extra 1/4 cup of chopped celery. Combine yogurt, mustard, and balsamic in a bowl to make the dressing. Add chicken, celery, onion, apple, parsley, and beets* (see note). 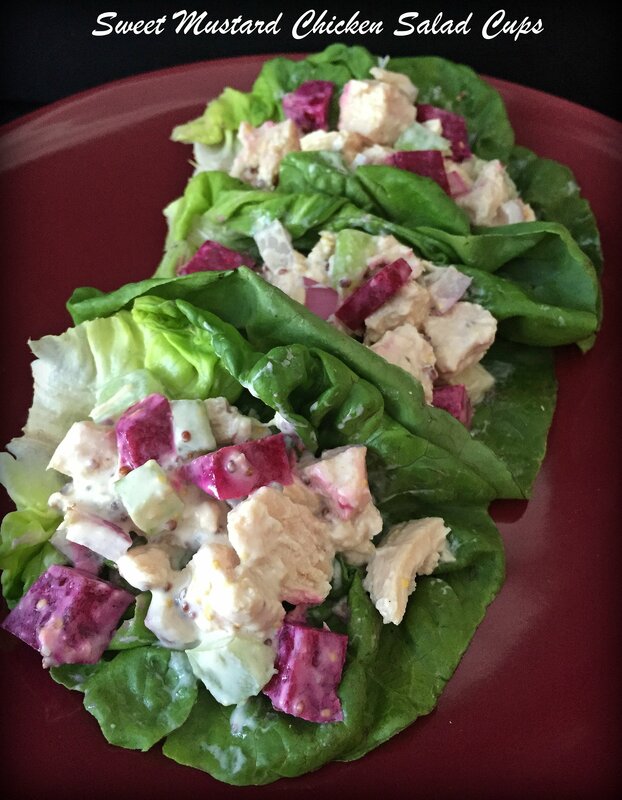 Divide chicken salad among lettuce leaves and top with walnuts if desired. Note: If you don’t like beets or can’t find them at your grocery store, simply swap them for an extra 1/4 cup of chopped celery. To make ahead for lunches in the week: keep dressing (step 1) and chicken mixture (step 2) in separate containers and combine them together when you are ready to eat.